Artwork by Livia Tiersch. Handmade welcome card she gave me. Our team from Herrnhut spent four days ministering in Berlin with dear friends and two special congregations. They had invited us out of a hunger for deeper understanding of God’s heart for the Jewish people and the role of both Israel and the Church. These days were so rich in fellowship, worship, and teaching. We were so blessed by their hospitality and so grateful for the new friendships that we made. We also joined with our new friends in outreach to the homeless and ministry on the streets. 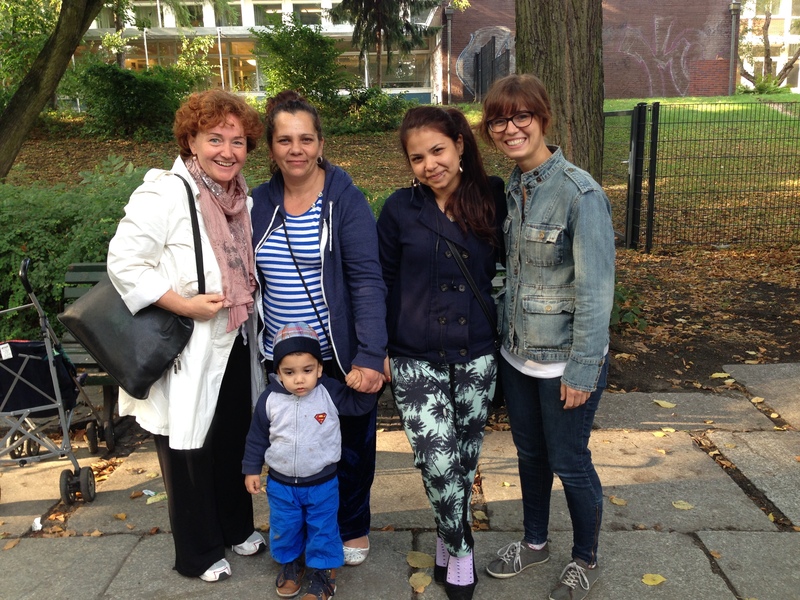 I was overjoyed as a local Berlin Believer and I were able to lead a woman to faith during one outreach and see others touched by His love and truth. We also met two Turkish women who didn’t speak English or German. I only know a few phrases in Turkish, but I was able to sing two worship songs that I learned in Turkish, and the women’s eyes lit up as they communicated to us that they also believed in Isa (Jesus)! They were so blessed and we were able to pray healing and encouragement over them. The Turkish ladies we met, and my new friend Anja from Berlin. “Steh Auf! Nie wieder Judenhass!” Stand up! Never again Anti-Semitism/hatred of the Jews! God always has more on offer than we realize. 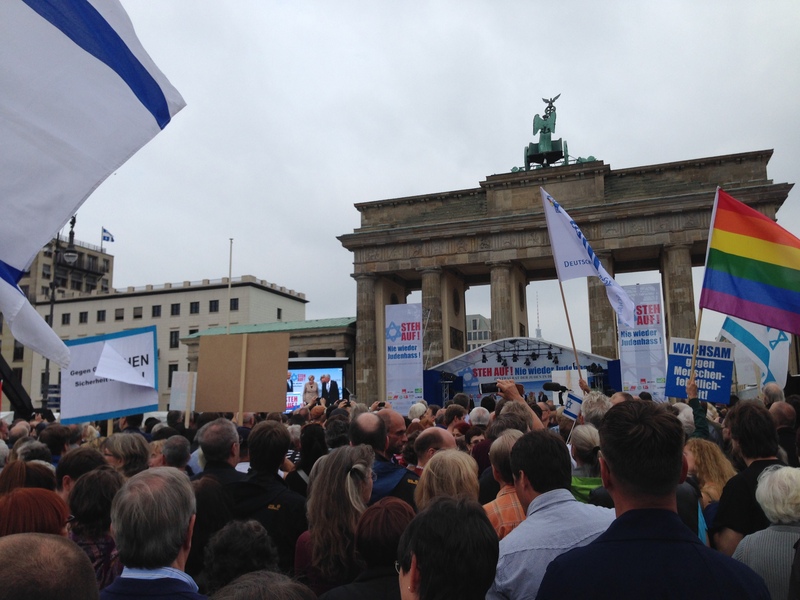 It was not until after our trip was planned that we learned that the last day fell on the same day as a massive demonstration rally at the Brandenburg Gate calling Germans to stand up against anti-Semitism. For years, the Lord has been showing us the calling on Germany to rise up in blessing Israel, to be a leader for righteousness and God’s purposes on the earth. We have seen many believers and congregations carry this growing revelation in their hearts, and we felt the historical impact on this day as both the governmental and spiritual leaders of the nation spoke out with one voice. We know that there is power in words and in authority, and when we heard the leaders of this nation speak out with boldness and clarity, we knew that Heaven was listening and a blessing was released over Germany in that moment. Two Israeli women had just flown into Germany for the first time and suddenly found themselves in the midst of Israeli flags and banners of support. After months of running to shelters, they arrived in Germany to find thousands of friends who were standing by their side. They heard our team translating into English and pressed in close so they could hear what was going on. Afterwards, many were able to bless and encourage them. They were amazed and deeply touched. God is above and beyond good. I am excited to embark on a new leg in my journey as a writer, an encourager, a friend. I am challenged by the thoughts, dreams, and ideas swirling around inside of me. I want to be vulnerable with these little seeds, to be faithful to give them shape and thrust them outside of me so that perhaps they might be carried to a place in which they can bear fruit and produce life. In essence, this is basically a blog but I want to give it purpose. Yes, I may ramble, and I do often delight in random things that I like to share about, but I hope that anyone visiting these pages will catch glimpses of hope, meaning, life, and love. I am creating this new site as a personal challenge to write more often, communicate better, and to give my readers a clearer and better organized layout to follow. 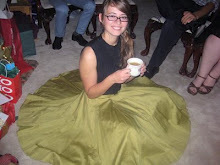 You are welcome to visit my former blog here and read some of my older posts. I will go through and copy a few of the posts onto this new blog. So, I invite you to join me. Let’s launch out and see where this current takes us.